Following the opening remarks by President Dalia Grybauskaitė and Crown Princess Mette-Marit of Norway's the Norwegian-Lithuanian Business Forum turned to exploring how Lithuanian technology and expertise inspires growth and attracts investment. Norwegian 20 companies accompanying that Norwegian royal couple on their visit to Lithuania joined the 250 attendants of the annual Forum. Arne Hjeltnes of Creuna in a most entertaining way presented all the speakers during the Forum. Geir Håøy, President and CEO, Kongsberg Group also gave a speech. 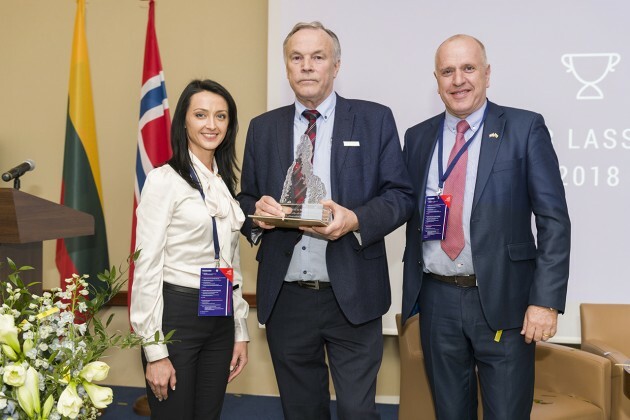 The Norwegian-Lithuanian Business forum, held yesterday in Kempinski hotel in Vilnius is the largest annual event of the Norwegian Chamber of Commerce in Lithuania. Speakers focused on innovations and information, cyber security and defence technologies, and particularly the promotion of cooperation, technology, and knowledge transfers between Norway and Lithuania. 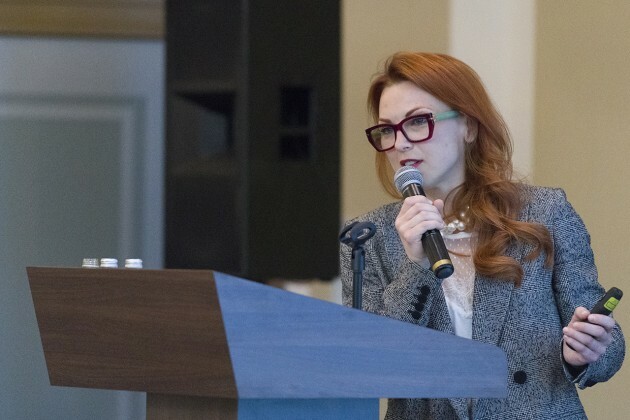 The speakers praised Lithuania's uniqueness and business competitiveness and underlined how it has evolved from a low-cost producer to centre of excellence where investors tapping into the knowledge. 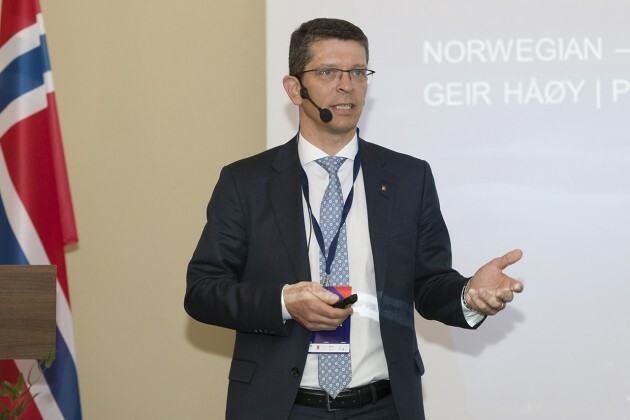 The first presenter was Geir Håøy, President and CEO, Kongsberg Group, who started explaining how the company development from silver mining to international technology group. Geir Håøy said that, "both Lithuania and Norway are small countries that show being fast and able to adapt ensures survival." Kongsberg is now heavily involved in the defence sector. 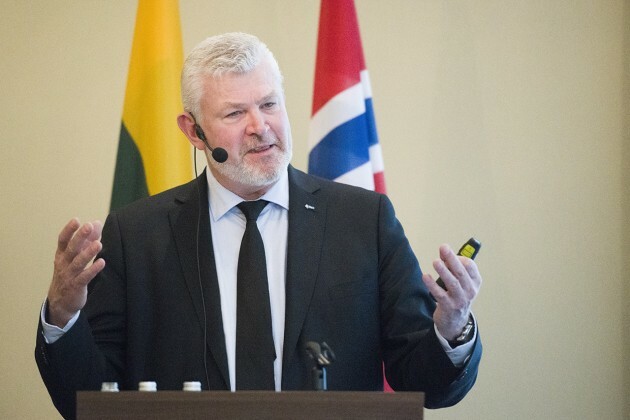 Mr Håøy said, "The Kongsberg" group were happy supporting Lithuania in the defence sphere." The company is supplying Lithuania's armed forces with a first-class NASAMS air defence system, currently used 7 countries, such as US and Finland. Prof Torger Reve of BI Norwegian Business School provided a more global view. Prof. Reve in a dynamic presentation demonstrated how the uniqueness of Norwegian business approach provides competitiveness in global markets. "Although everything starts with nature, eventually it is all about the technology and gathering talented minds together, whilst progressing from Start-ups to Scale-ups", according to the Professor. He also believes that the future lies in the oceans with high-value sustainable oceans providing energy and feeding global population. 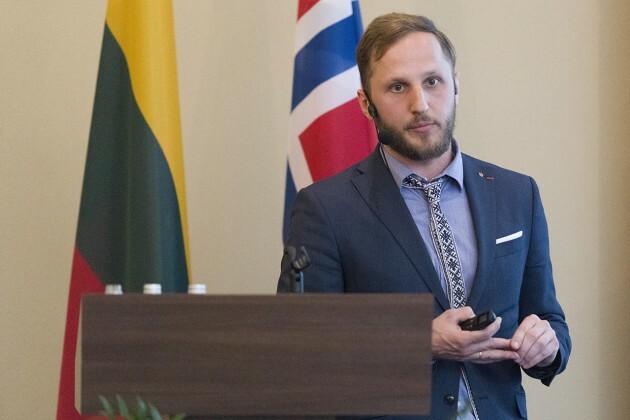 Kristijonas Vizbaras, Co-founder, Brolis Semiconductors brought the conversation back to Lithuania, giving an insight how his young company captured with cutting-edge infrared photonics technology. His narrative of a company set up with his two brothers greatly impressed the audience and got the attention of the high tech CEOs present. Mr Vizbaras explained how laser diodes, E-O systems for defence and security and GaSb/SOI photonic integrated circuits and now photonic chips, very tiny sensors that can be integrated into phones or wearables. There is a wide application in healthcare, as these chips will monitor sugar levels of diabetics' blood non-invasive and in real time. Peter Nilsson, President and CEO of the Norwegian Kitron Group, first spoke about the dramatic change from being a marine industry supplier to a diversified high tech company. Kitron now supplies critical components to a myriad of manufacturers, including supplying parts in the development of F35 jet fighters. Kitron's knowledge-driven technology drives their international growth, according to Mr Nilsson because it has a culture of embracing technology and value-added manufacturing. Employing now more than 900 in Kaunas, one their largest manufacturing plants. Mr Nilsson said that his company has great interest in working with Kaunas Technical University ensuring a supply of educated workers but also in developing new technologies. Peter Nilsson said, "If we want to grow something, we have to invest in basic research. It is a key for the future". 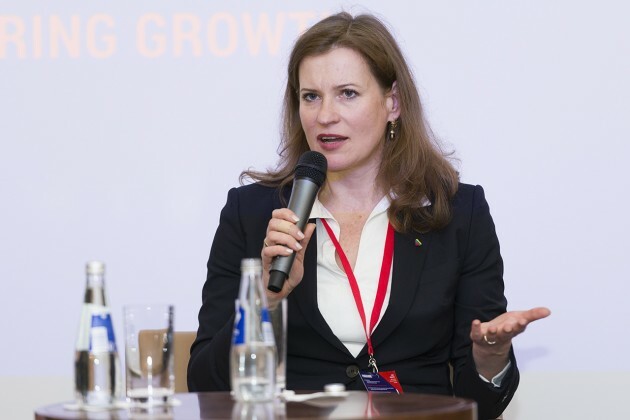 Inga Rudzinskaitė of the Royal Norwegian Embassy sketched how the new EEA and Norway grants programme will provide Lithuania with crucial financing in a variety of spheres, for example in correctional services and international police cooperation to business development and innovation, health care and education. Marius Jurgilas, Member of the Board of Bank of Lithuania, explained how the Bank of Lithuania has evolved of being a financial market regulator to one embracing FinTech, enabling ways of bringing more competition in the financial sector in Lithuania. Former Minister, Rimantas Žylius now Director of NRD Lithuanian-Norwegian business synergies spoke about building strong and sustainable digital economies. He said, "Norwegian institutions have been a real inspiration for Lithuania in the way it assists transparency and doing business." His company is now involved in projects in Bangladesh and Bhutan that evolved from donors to enablers. One of the highlights of the afternoon was the delightful way in which Arne Hjeltnes, CEO of Creuna, managed to change the mindset of all attendants forever about how we see fisheries and salmon in particular. Salmon is now raised in high tech devices and cleverly marketed to ever more health conscious global consumers. The Japanese added salmon just 30 years ago to their sushi diet, whilst conquering the culinary world! Last year Norway supplied 90,000 ton of salmon to Japan! A panel of key speakers and Diana Kleponė the General Director of Enterprise Lithuania closed the formal part of the Forum discussing various forms of closer cooperation between Lithuania and Norway, including traditional services and technology. They concluded that Lithuania does need more than several large investors because entrepreneurs and smaller companies play a large in the economic structure. Small countries can do best when they cooperate and look at ways to boost competitiveness. About the Kloster Lasse Award. It is named after Kloster Lasse or Lauritz Nielssøn or Laurentius Norvegus, the first Norwegian said to have arrived in Lithuania in the 17th Century, was a Norwegian Jesuit Priest, active in service of the Counter-Reformation. The Kloster Lasse price is awarded annually to a deserving philanthropist.